I don't know about you, but as the days get shorter, the weather gets colder, and the holidays approach, the stronger my desire to sit in my house in a giant sweater sipping tea and knitting. And you know what? Some times I just do. Last night I made mini pies, even though there was a pile of laundry that needed to be folded. I felt momentarily guilty for making mini pies instead of folding laundry, but then I figured... Jacob will be way happier with a mini pie than folded socks, and so will I. The laundry will be there tomorrow. 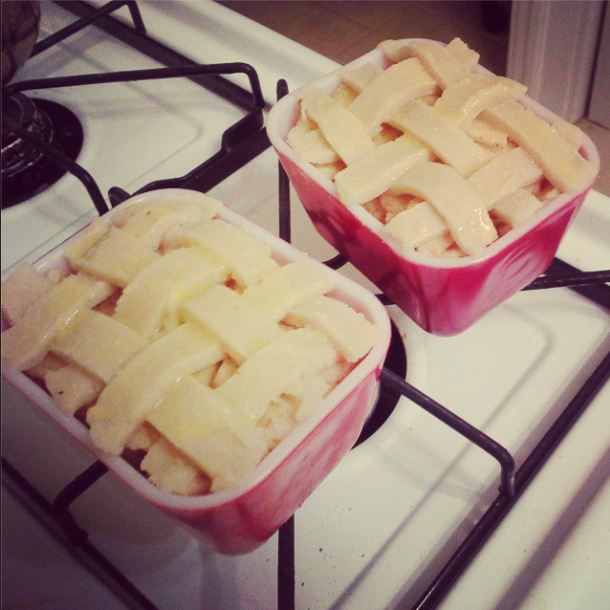 pre-oven Instagram pic of my Pyrex mini pies! Of course, I can't think this way all the time (or I would do nothing but craft and sip hot beverages all day, I assure you), but there are times when it just needs to be done. 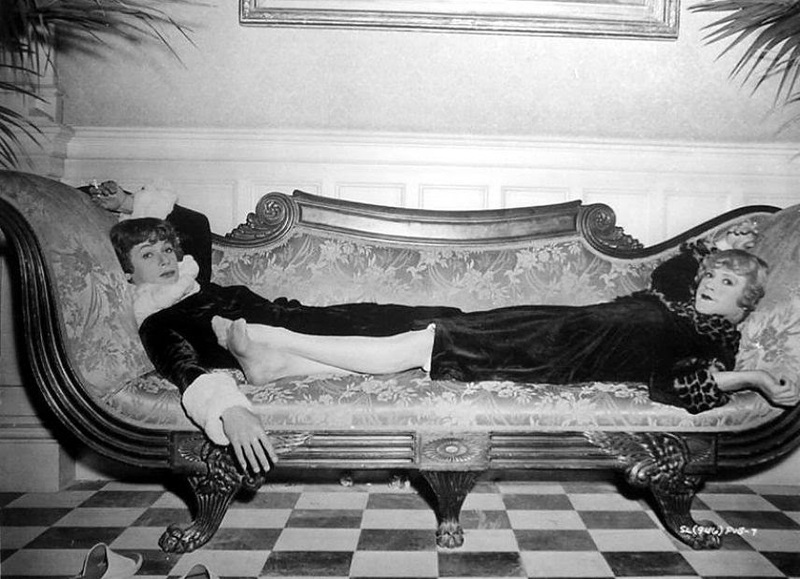 So even if you can't take a whole day, be sure to carve out a bit of time for yourself before the holidays get crazy. Recharge your batteries. Rest your mind. Get out of the hubbub of social media noise for a while. - Make a tea latte and sip it from your favorite mug. - Watch a good period drama on Netflix. There are so many fabulous ones right now! - Sit and read an old magazine. If you don't have one, go click through the Reminisce site. - Knit or crochet a quick, easy project like a scarf, headband, or embellishment for another project. - Hand sew something. Perhaps the hem on a skirt, or something from your mend pile. - Listen to an old radio show, like Burns & Allen or Jack Benny. What other things do you like to do to rest and recharge? Do you feel like you take enough time for yourself to rejuvenate? I usually make some tea, or hot chocolate and curl up with some knitting. I'll take a look at that Reminisce site, thanks!